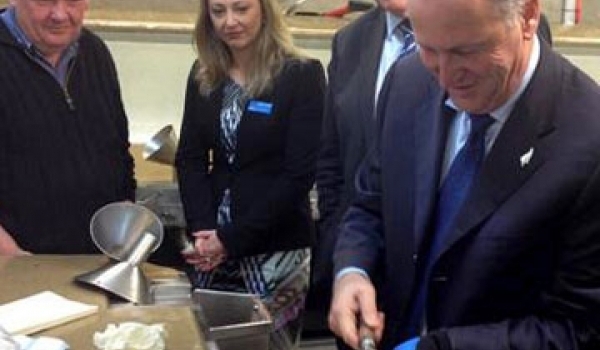 Nothing gets between the prime minister and his oysters - Bluff oysters, that is. Rolling in half an hour late to cut the ribbon at ILT Stadium Southland’s official opening, the mystery of where the PM disappeared to was revealed in a pic on Twitter. After leaving Invercargill Airport, Key’s entourage diverted to Barnes Oysters for a quick brunch of oysters. In a suit and tie, Key got to work with the oyster knife and expertly opened up the popular southern delicacies. Key said he was a lover of oysters, and ate several to start the day yesterday, before beginning his busy schedule. Barnes Oysters manager Graeme Wright said Key loved the early morning treat. The prime minister had the processing area to himself because of bad weather, and several oysters were left unopened so he could try his hand at knifing them open. Invercargill MP Eric Roy had alerted Barnes Oysters to his boss’s love of the mollusc and asked if they could come and sample a few, Wright said. The stop wasn’t just a feast for the prime minister, though, with shop talk quickly being added to the mix. “We talked about the state of the fishery and the scientific work being done to keep it healthy,” Wright said. The prime minister was joined by Roy as well as Sarah Dowie, Roy’s successor as National candidate for Invercargill. Key said he would have liked to attend the Bluff Oyster and Food Festival later this month but already had other commitments.